Brimming with technology and style, the Pro SC is an amped-up, hot-rodded metal machine, aimed at the demanding player who needs a no-compromise performer. The Pro SC features a 24.75" scale length, single-cutaway mahogany body with arched maple top, speedy one-piece set maple neck with a pair of graphite reinforcement rods and a 12”-16” compound radius ebony fingerboard with 22 jumbo frets and pearloid ghostfin inlays. A pair of Seymour Duncan® Blackouts AHB-1 active humbucking pickups in the neck and bridge positions provides aggressive tone, throwing out a hotter-than-average signal with up to 14dB less noise—perfect for driving high gain amplifiers with thick, grunting distortion. The Jackson fully adjustable radius compensated bridge creates perfect intonation along the entire length of the neck to ensure complex chords ring true while the anchored tailpiece and Jackson die-cast locking tuning machines work in harmony for tuning stability. Cloaked in classic Jackson style, the Pro SC wears brooding black three-ply body binding and hardware, including the plastic nut, Dunlop® dual-locking strap buttons and two volume and single tone controls, while the stark white single-ply neck binding creates an elegant contrast against the darker fingerboard and matching 3x3 (3 over, 3 under) AT-1 headstock. 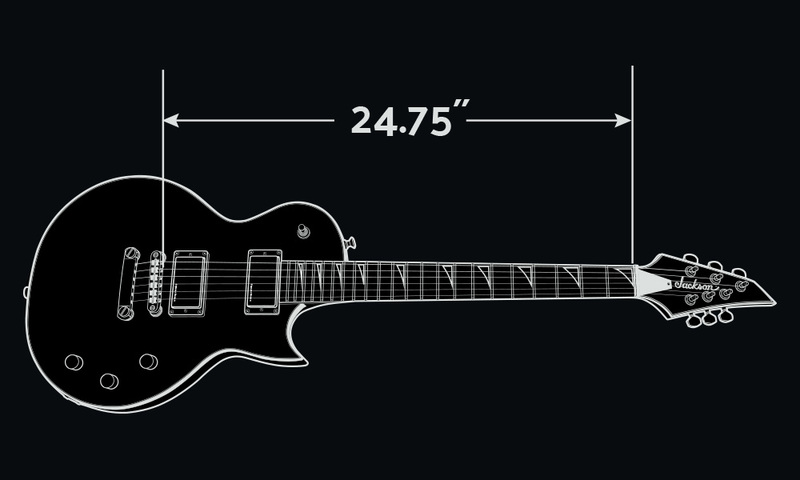 A 24.75" scale length offers less string tension to reach the concert pitch of a 25.5" scale, therefore loosening the feel of the guitar to make bending and vibrato more fluid. The perfect choice for metal players looking for warm complex chording and singing leads, the Blackouts neck pickup practically cries out for two-handed shred and thick rhythm playing. 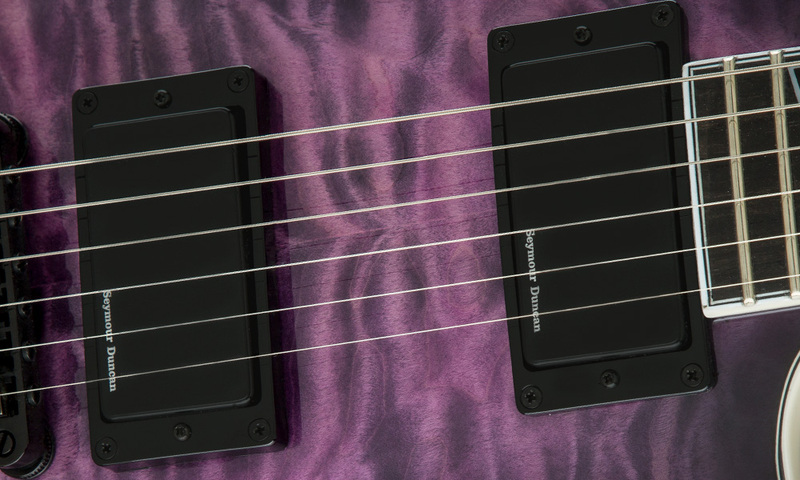 The Blackouts bridge humbucker delivers the high-output signal level of an active pickup, and excels at screaming pinched harmonics and hyper-speed riffage with responsive dynamics across the entire fretboard.